On this page you’ll find the address & contact information for every point of arrival, rendezvous, check-in, and destination – Thursday through Sunday. To request Thursday’s shuttle service to the step-off location in Lake George Village from any of the locations numbered below (1. – 3.) simply submit this linked form to pilgrim-organizers asap after registering. Amtrack stops in Amsterdam, NY. Call 800/872-7245 for Amtrak Services. Coliseum church parking lot Auriesville Shrine – Pilgrims park there Thursday after noon, in order to retrieve vehicles Sunday after final Mass. 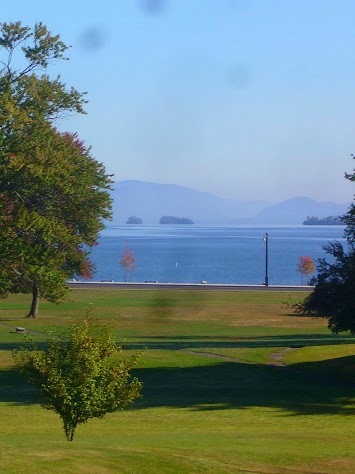 To request the shuttle service to the step-off location in Lake George Village from any of the locations numbered above (1. – 3. ), simply submit this linked form to pilgrim-organizers asap after registering, but no later than September 21. Note well: EVERY pilgrim must check-in at Lake George Village upon arrival. All those traveling from afar are strongly advised to arrive Thursday afternoon or evening. Check-in 16:30 – 20:30 – Check-in table is located near the public bathrooms in the campground. The suggested campground (below) is at the site of the Friday morning Mass & step-off. Pilgrims camping there pay the State authorities manning the cashier cottage at the entrance to the campground. The suggested nearby motel (below) is offered in charity by fellow-pilgrim owners for $10/pilgrim Thursday night only. Note well: Friday morning check-in is ONLY for those arriving from afar early Friday morning, or who arrived too late Thursday to check-in. Click here for locations & instructions. Alternately, pilgrims drive themselves to local lodgings. Call hotels directly for rates and directions.